That is so cute!! what a great job!! I absolutely love it. What a great job. 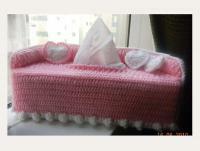 I tried making one similar, it didn't have those adorable heart pillows, and I still have a couple of the pieces. Never did get it together. Too Too Cute!!!! Love it! What a great job!! I love the idea of a sofa cover. Where did you get the pattern or is this yours? I would love to make one. Very cute! I love the little accent pillows on it also. That is just adorable!!! I love it!! It's really cute. Also it probably is just the right size for a Barbie doll , just leave the hole out for the tissues. I am wondering where you got the pattern from. 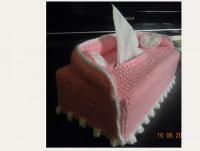 I would love to do one of these for my MIL, she has boxes of tissues everywhere. That is the coolest, neatest looking tissue box cover I have ever seen! 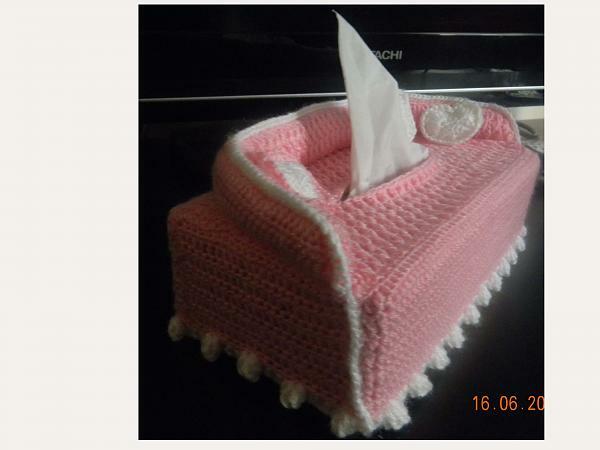 thanks sandvi, I am off to make one now. I love it!!!!! What a cute idea. Nice job. I looked all over her site for the free patterns and didn't find that one. Do I have to buy it? Or do I have to sign up for the newsletter to get that pattern? Help. couldn't find it. 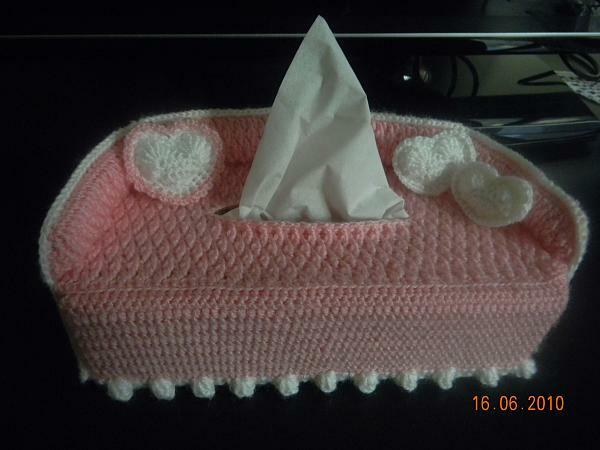 Hai pineapplequeen,barbara anne,muise,roxan,melanie,crochet4ever......thanks for your valuable comments.